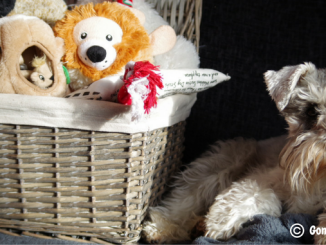 When it’s too wet and cold outside to go for a walk, there are plenty of other ways to fill your dog’s day with fun, mental stimulation. 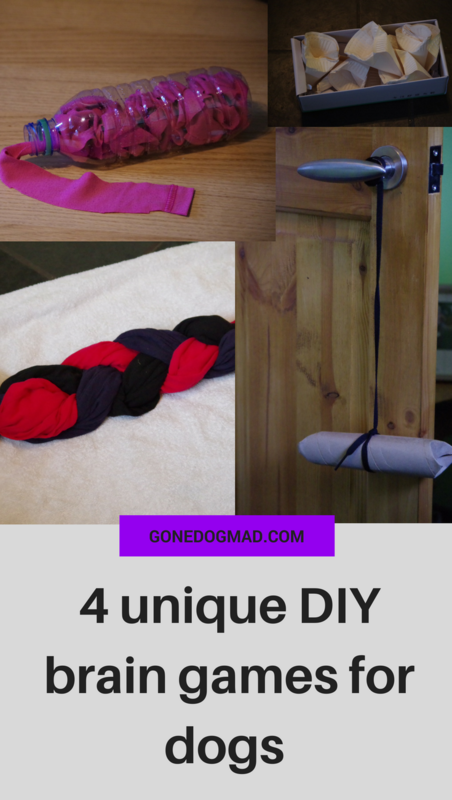 Here are my 4 original DIY brain games for dogs you can make in no more than 5 minutes. The best part is most of these items you’ll find around your home. 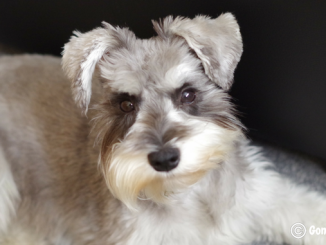 They’re quick DIY projects that’ll keep your dog truly entertained while giving them a great mental workout. This one’s so easy to make, and my Loki had a blast pawing away at the game to release the treats. 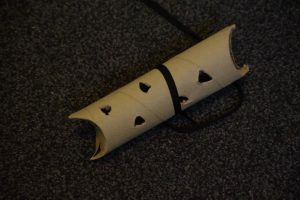 Start with a kitchen roll tube and make a few holes in the bottom. 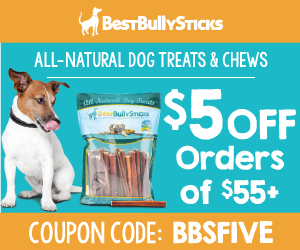 Make sure the holes are big enough to allow the treats to fall through, so test this out yourself before giving it to your dog. 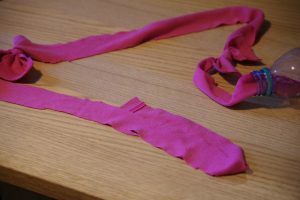 Grab an old shoelace and tie it securely around the middle. 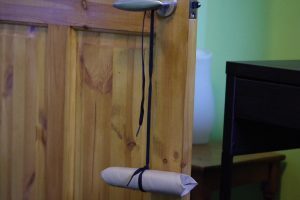 Ensure the tube sits completely straight so it doesn’t tip to one side. 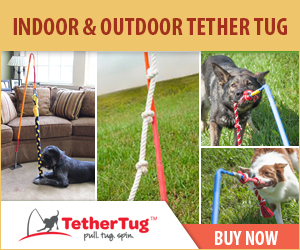 Tie the end of the shoelace to a door handle and now it’s over to fido for fun time. Grab an old water bottle from your recycling. You could also use a plastic milk bottle if that’s all you have. Find some old clothes you can cut into long strips. In my case I used some old pyjamas I no longer wear. 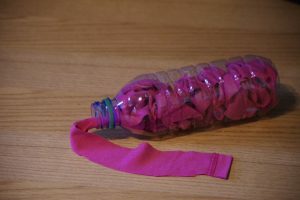 If the strip you’ve made isn’t enough to fill the bottle entirely, simply tie the ends of multiple strips in a knot so the material is a continuous strip. Stuff the bottle with the material adding a few treats in layers as you feed in the strip. Leave a little material hanging out the end of the bottle and put it on the floor in front of your dog. This may take a while for your dog to understand the game, but be patient and it’ll all work out in the end. As your dog pulls the material out of the bottle, the treats caught up in the material will pop out too. Bingo! 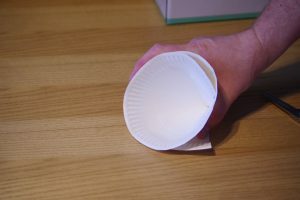 If you have paper plates left over from a kid’s birthday party or a bbq, these can be turned into great treat pockets for your dog. 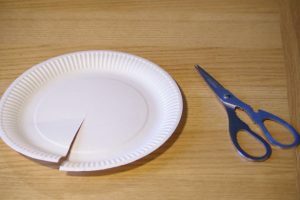 Use a pair of scissors to cut one slit up to the middle of the plate. 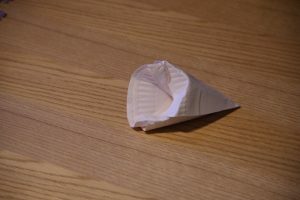 Then twist one side over the other to make a small cone. Drop in a couple treats and fold over one side to close. 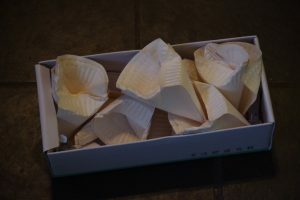 Make around 10 cones and put them in an old box. Your dog will have a great time unravelling the plates to reveal all the treats. If you like this one, you may also like to check out how to make a destruction box. 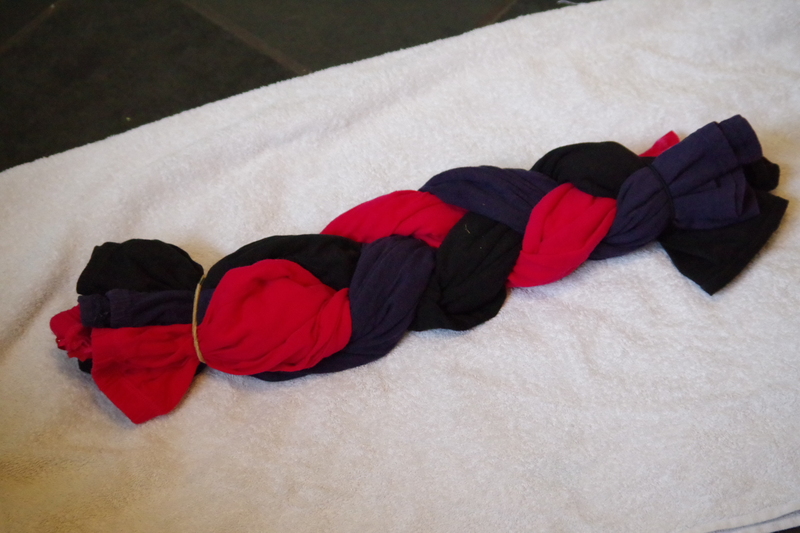 Find three pieces of old clothes and tie them together at the end with an elastic band or hair bobble. T-shirts or old pyjama bottoms would work well. Plait the three pieces together making sure it’s not too tight. Tie the other end with another band. Grab a few treats and hide them in all the crevices within the plait. 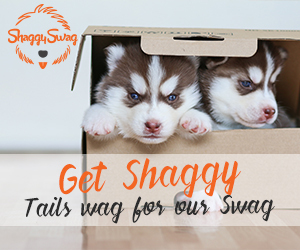 Your dog will have to sniff around and use their nose and paws to uncover all the treats. Simple! 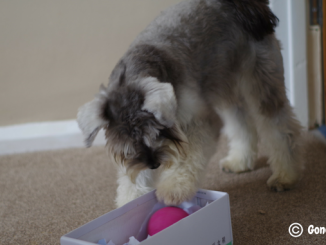 These DIY brain games for dogs are so easy to make and will provide hours of entertainment for your pooch. 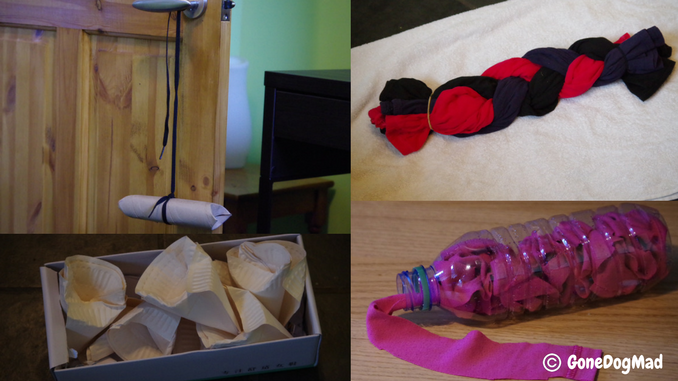 I love finding new ways to use simple household objects that’ll provide great enrichment activities for Loki. Such creative ideas. And you should know whether they work or not, since I’ve been seeing your doggy posts a lot lately. I’m actually scared of dogs! One day maybe. These are super easy and super smart! I have all these materials in my home. There is no excuse now to not have some enrichment games going on tonight! Thanks Joelle! The pinata and bottle bomb seem to be Loki’s favourites. 🙂 Enjoy! Glad you like them Staci. 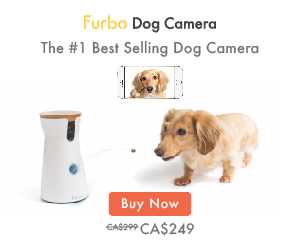 I’m sure your dog will love it! These are fun ideas for dogs. But please! Do not let your dog play unsupervised. The string and long fabric are PERFECT for causing dangerous linear foreign bodies. I see it all too often in the ER that I work in. I love a good DIY project, but the string and fabric are easily swallowed and can’t be coughed up easily and they start swallowing the whole thing. Just be careful! Thanks Martha, I totally agree. I’d only ever advise any kind of brain game or canine enrichment activity to be performed under supervision. You can never be too careful! I would think most people would use a little common sense. But thanks for pointing that out and highlighting the importance of safety first. These are great! My old girl is going to love these (and we will too!!) Thanks so much. Thanks Susan, hope you both have a blast playing them. We love them in our house and still bring them out every now and then!